No work again yesterday. So, I seized the moment. I’m in the process of outlining my next book. The working title is “Out of Oblivion.” Themes, dialogue, clashes, escapes, love and betrayal is fragmented throughout a forest of notes that needs to be herded into my Scrivener – a word processing program for writers. The story is there and I know how it ends. Now begins the crafting of the physics of story structure, putting things in place that support reader interest. As I gathered my copious notes scattered over different desktops my fidgety moves, scruffy face and worn jacket reminded me of Russell Crow’s depiction of John Nash in A Beautiful Mind, but not the beautiful part, the foaming at the mouth bat crap crazy part. I grinned and thought, God what am I after? Am I simply crazy and that’s all there is to this? Is it obsession or mission? And then I took a deep breath. Fact is I know what I’m after. All that was settled but sometimes the contemplation of what I’m attempting is scary. It could be a colossal waste of precious time at fifty years old. That is why I need to know what my goal is. And, I think every writer should know exactly what he’s goal in life and story ending. If not logically—as in the book’s exact narrative and dialogue when the story ends—but at least a writer needs to sense the emotional payoff, the feelings of epic awesomeness born from that great moment when the One Ring melts in the lava of Mount Doom, or when the Death Star blows. When evil is turned back in the physical and spiritual world and hope does not feel like wishful thinking. So What’s With the Name, A Speaking Human? You are a menace. A walking pestilence. – Dr. Zaius. Welcome to my blog, I am the walking pestilence. 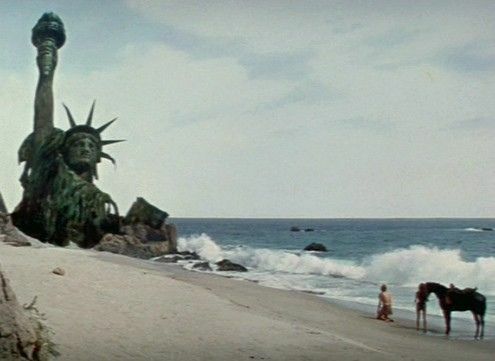 “A Speaking Human” is derived from Charlton Heston’s character, George Taylor from Planet of the Apes. The quote by Dr. Zaius sounds like Bill Maher talking to Rush Limbaugh. 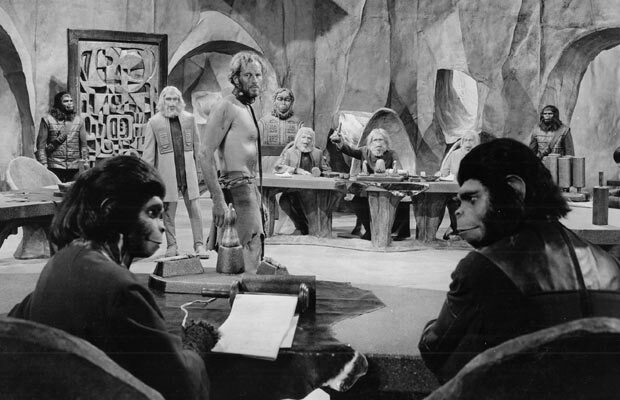 Doesn’t it seem like we conservatives are a shocking paradox to the Council of Liberals as Taylor was the Council of Apes? He was a speaking human! A menace! It seems they can’t believe that we actually have minds and we’re able to form coherent sentences. For too long they’ve read their liberal scrolls-the New York Times et al-repeated their euphemistic mantras, and delighted in movies and sitcoms crammed with political correctness to repeat the narrative and reenforce the mythology that all conservative are heartless, narrow-minded idiots. It’s like we conservatives have come out of the woods-to the their surprise-already house broke and capable of using an indoor toilet. This confounds them. It doesn’t match the narrative they’ve been taught and so they try to cram us back in the outhouse and congratulate themselves on how evolved they are. It is written in the scrolls that we are all big eared inbred hillbillies, living in the fly-over states. Is the Constitution in ruins, too? I’m here, along with other conservative bloggers, to continue the confounding so that it may lead to disillusionment, which may be painful for the ‘liberal’, but ultimately worth it. I don’t do this to torment ‘liberals’ (note that on my blog I will usually put the word liberal in quotes because true believing ‘liberals’ are anything but…). Most are living the Matrix (the movie), existing completely clueless as to the core of what they’ve accepted and internalized, and perhaps unwittingly, promote. I see these Matrix ’liberals’ as comfortable and captive. I’m here to help inflict unrest on the comfy and set captives free from illusions. I want them to break free from the Council of Liberals and the so-called “Critical Theory” (google it). Mainly I will writer about my passion, writing. 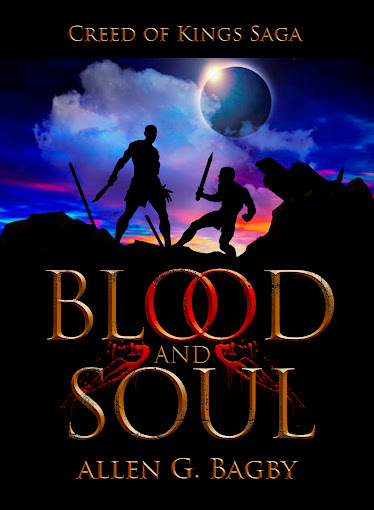 I will also review movies, comment on music, attempt humor, occasionally do some Christian worldview apologetic, write a short story here and there, and update on the writing of my epic fantasy fiction saga under the working title of Blood and Soul. Book One of the Creed of Kings Saga. Six books are in the works, to be finished and released in sequence. I wrote this in October of 2005, before I started going back to church. I’m not saying that I’m right or wrong. Just wanted to share it. It’s seems that my earliest ideas as a child of understanding God’s character are in the end the most true. I’ve come almost full circle back to a child-like view, which is indeed more ‘adult’ than most religious people – I think. Maybe when we enter into this world so fresh from the womb of our mothers and creation’s womb, we are more akin to the spiritual world than the world of flesh and blood. Maybe something deep in us in that youth senses the character of God more clearly than ever again. We leave the nest, the chord stretches as we travel through time further away from the soul-factory. When sensing/looking back we sense/see that we really saw better then. And, that sight is a remembrance. It was uncluttered by the journey of life. It may seem a little sad if you think God is Santa Clause. You see, you can’t make deals with God. It won’t work. If you grasp that, then you can fully appreciate freewill and all the complications it births. One result is suffering. How can you reconcile Santa Clause with suffering. How can you reconcile a good God with the suffering of good innocent people.Usually to understand this I just think about the mystery of God and I think of the level God is on and the level I’m on and it resolves the matter – for a time. But, I asked myself, “Why shouldn’t good people suffer?” We often ask “Why do the bad people seem to prosper?” Why not turn it around and think about it? Should a pious person be able to walk among the contagious without getting sick? Should a pious person be exposed to the laws of nature and be unaffected? What about those to keep all of laws of Moses and Christ and still fall victim to the most horrendous deaths and misfortunes? Many religious folks believe that keeping the Ten Commandments or praying everyday should shield them from all suffering. This is bargaining with God. I know people like this. I’ve been one myself from time to time. You may be this kind of person. I suffer the slings and arrows of misfortune whether I perceive myself to be walking with God or not. But, most religious, IMHO, think they should be able to side step all the calamities suffered by the less faithful, or pious. They believe they can make a deal with God. “God I will do this as long as you do that.” In other words we try to control God. If true, it sheds light on the problem of unjust suffering. It can be a fatal blow to belief in God, or one’s faith. For many religious people this is proof God has reneged on a deal they had. However, as with when I was a very young child, I’ve come back to believe there is no connection between my spirituality (how good I am) and God’s granting me anything in this world. I think that religious practice is supposed to affect my behavior; not God’s. If you or I live a religious life, it should be to make us better humans and bring us closer to God, to add a depth of spirituality to our lives and help make a just society. These things are rewards. If you learn a new language your reward is that experience you get speaking to others in that language. The reward of fidelity is fidelity. Christianity believes God will reward you for good – but that’s in the afterlife as far as I’m concerned. Isn’t it a bit nutty to think God would reward you for doing what you’re supposed to do? “My son, you didn’t rob a bank today. Here’s a the winning lotto numbers. Go forth and prosper.” If strictly observing the Ten Commandments led to a life of no suffering and lotto tickets people would have figured this out a long time ago. We’d all be bible thumpers. Who doesn’t want to be protected from heart disease and cancer? Religious observance can’t protect you from the world. It can make you a better person. But, if you expect reward for your religiosity, I bet you really don’t want to be as religious as you are. If you are truly happy observing religious practices then you wouldn’t be concerned with rewards and protection. Thus you are forcing yourself to be religious like it’s a health and life insurance policies. It could quite possibly be the reason for so much fear and uncertainty. Because you know in your knower this doesn’t work and your present level of anger and fear is tied to a type of God that you’re not sure is vindictive or a Santa Clause. God is neither of these. But, you try to reconciled the un reconcilable to avoid condemnation. I’ve doubted God’s existence and came pretty close to not believing. At one point in life, I was agnostic and practically an atheist in action, having no fear or awe of God. Due to early profound spiritual experiences in my late teens and early twenties, I never became an atheist at heart. We all have our reasons. I won’t go into it, but I left mainstream Christianity in the early 90s – I believe it was a profound error that, at the time, seemed like Luther’s departure from Catholicism, the spiritual highway had been removed of toll booths, I thought. Early in the departure, my longing for the spiritual led me to seek a relationship with the divine via new age (or new era) beliefs, which one can construct one’s own belief system – all dogs go to heaven. It seemed so very enlightened. I think, in a nutshell, it was because I wanted to sin like the devil without remorse in certain areas. The belief in an impersonal god, or a nebulous divine consciousness, affords such activity – but I digress. I began a slow return, which started with quasi-Christian theology mixed with new age beliefs some time ago prompted by what is called “the midlife crisis” i.e. the realization that I was indeed going to die. In early 2001 I began periodically attending the Unity Church of Dallas. They read from the Bible but to put in bluntly, don’t believe it. They suffuse eastern religions into the Bible and consider it another spiritual book like the Bhagavad Gita or A Course In Miracles (I’ve read both): all ways eventually lead to heaven or nirvana. An “enlightened” man there told me he was a recovering Baptist, too. After 9-11-2001, I had had enough of the Hippy Jesus. But, instead of returning to Christianity, I delved into politics, dabbled in history, which led to philosophy, which led to God. Philosophy’s biggest problem is Death, which is the core of the midlife crises, but I think it can lead one to a more profound search than sitting crossed legged in a Buddhist monastery. I “officially” returned to Christianity when I started attending Frisco Bible Church regularly in July of ’06 (please don’t bother me with “just cuz ya goze to church don’t means you’s a good person” and other finger wagging …it bores me and it’s not the point of this entry). Even before that, I had been leaning that direction. Along the way, I re-realized how many of us don’t even have a logical explanation for our beliefs. This is not new to me but I was leaning away the last time I ask these questions. It’s the reason we crumble when challenged. We don’t even understand what we believe and why we believe and 95% of the time we can’t defend it. Thus, feeling embarrassed, we attempt to be cool. Does God exist? Either there is or there is not a god. A thing cannot be and not be at the same time. I chose to believe God exists. So I am a theist not an atheist. Does this God care about me? Of the major religions on earth, there are many derivatives. There are religions with impersonal and/or indifferent gods or there is a so-called divine consciousness or a state of bliss/enlightenment. And there are religions with a god that desires a relationship with me. Hinduism is a polytheistic religion; the gods are basically indifferent to my existence. They could be aware of me but I matter very little to them, if at all. Buddhism is a non-theistic religion; basically one relinquishes all craving and blends (becomes one) with the universal consciousness. This “god” is impersonal. I cannot know this “god” at all and I’m assimilated into nothingness once I reach enlightenment. The religions with a personal god, or a god that desires a relationship with me, are basically, Judaism, Islam and Christianity. Because I believe God to be a personal God I choose from these listed immediately above. Of these three religions one’s founder claimed to be God in the flesh. The founder, Jesus Christ, cannot be and not be God at the same time. He either is, or He is not. If He is not God then He either belongs in a mental institute or He is a grand hoaxer. You have to conclude Jesus was a mad man, liar or is what He says He is. I chose to believe Jesus Christ is God. Now this little tracing of the thought process in no way proves there is a God. That’s another blog entry.